Energy efficient appliances and automobiles, like the Ford C-MAX Energi, both save money and reduce your environmental impact. In a new MyEnergi Lifestyle event, Ford has launched a contest that aims to demonstrate how typical American families can enjoy energy and cost savings through an energy-efficient lifestyle. The top prize in the contest is a package including a Ford C-MAX Energi, efficient appliances from Whirlpool and Eaton, and SunPower solar panels. The MyEnergi Lifestyle retrofit is being kicked off by Katie Couric on her show, 'Katie'. The contest opens now and runs through June 9, with winners announced later in the summer. The contest brings together leaders in the home appliance, renewable energy and power management industries. The prizes in the contest all result in energy efficiency gains, either in the home or on the road. Whether it's an efficient appliance or an efficient car, the result in both case is that you achieve the same result, whether it's clean clothes or a daily commute, while expending less energy. Technology advances over the years have increased energy consumption per person, thanks to larger houses, larger cars, and more gizmos contained within both. Ford cites research that the typical household consumes 729 gallons of gasoline, 122,000 cubic feet of natural gas and 11,000 kilowatt-hours of electricity a year. In 1930 the typical household consumed 500 kilowatt-hours per year. Newer technology advances can change this trend, where the typical smart appliance uses 70 percent less energy than one built in 1980. Electrified vehicles offer similar efficiency gains, because electricity is a more efficient fuel than is gasoline. “We’re very excited to offer the MyEnergi Lifestyle retrofit to our winning families and to put it to the test,” says Mike Tinskey, Ford global director of vehicle electrification and infrastructure. 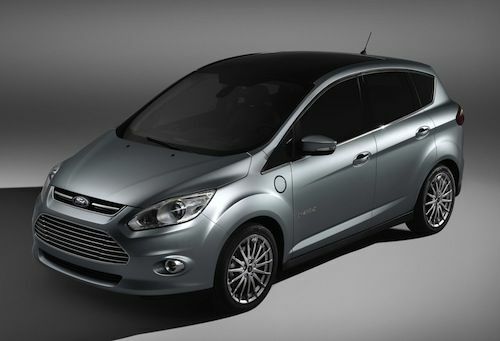 “By combining a Ford C-MAX Energi plug-in hybrid vehicle, smart energy-efficient appliances and renewable energy generation, we hope to reduce the families’ energy consumption and save them money. Our computer models suggest we’re looking at a 60 percent reduction in energy costs and a 55 percent reduction in CO2 annually for these families through the retrofit,” he adds.